Do Engineers Dream of 0wnz0red sheep? 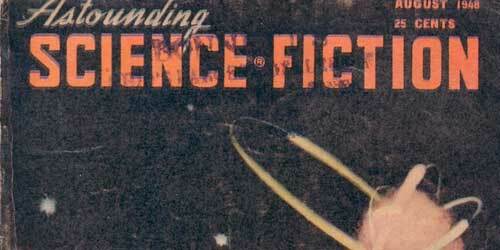 I’m a long time proponent of so-called hard science-fiction. While I generally enjoy fiction in all it’s forms, there is something uniquely interesting, and often eye-opening, about those well versed in esoteric (sometimes impenetrable) subsets of the science community trying to extrapolate the cutting-edge developments of their fields into ethical, moral, or straight-adventure tales. It’s telling that one of two physical pulp-and-paper magazines I still subscribe to is the venerable Analog. While Wikipedia may be right that it can be “a bit puritanical”, I have never picked up an issue that didn’t contain at least one story or science article that made me reconsider a pre-conceived notion about the universe we live in, or our place in it. George Dyson’s “Engineer’s Dreams” is a great story, but also a great example of this unique blend of fiction (and also how hard it is to find a venue to publish such works). It blends the history of computer sciences, approaches to computer logic, and examination of Google network topography to construct a fictional tale about man’s ever shifting view of what a “computer” is. It actually just occured to me that it’s an interesting counterpoint to Cory Doctrow’s “0wnz0red” (a 2003 Nebula finalist) in that “0wnz0red” examines what application of computer logic could do to alter our concept of “human” and “Engineer’s Dreams” is the inverse. Both are excellent stories that raise interesting questions. So you should go read them.